Young children had a ball celebrating National Playday at the National Waterfront Museum..
pictured.. 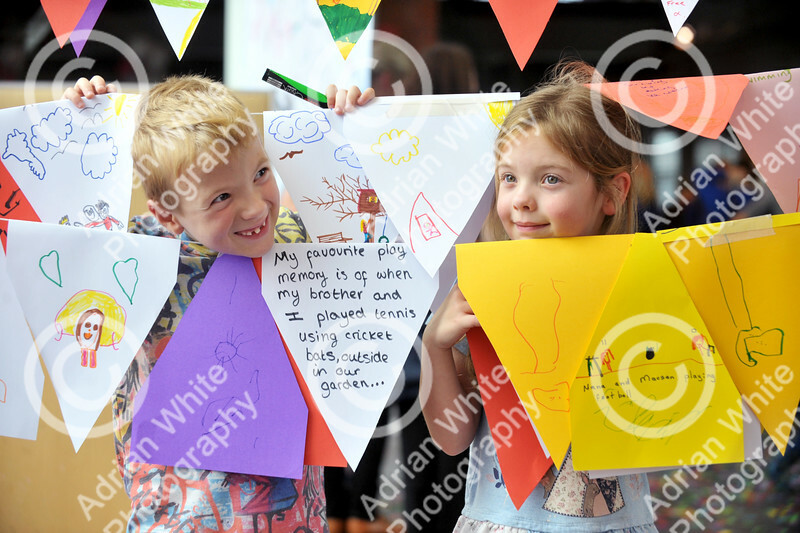 Twins, James and Lilly Maddock aged 6 amongst the handmade celebration bunting. Swansea Council organised the event which was also a celebration of the 20th anniversary of the authority having a play team. Activities at the event included the Play on Wheels Playbus, Interplay Pirate Ship, Circus Eruption, Park Lives and the chance to take part in some old fashioned games.